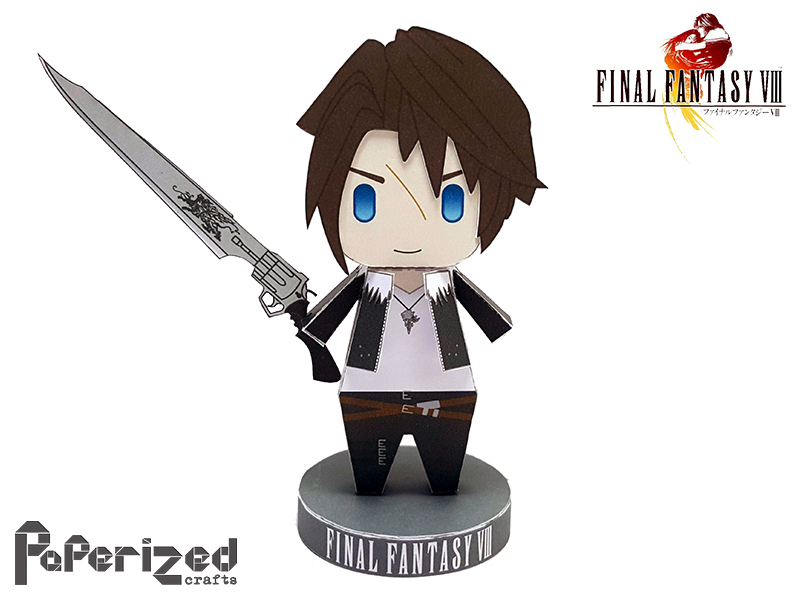 Squall Leonhart is the main protagonist of Final Fantasy VIII. A young and aloof SeeD mercenary, others view him as cold and focused until he begins to question the way he has chosen to live his life. 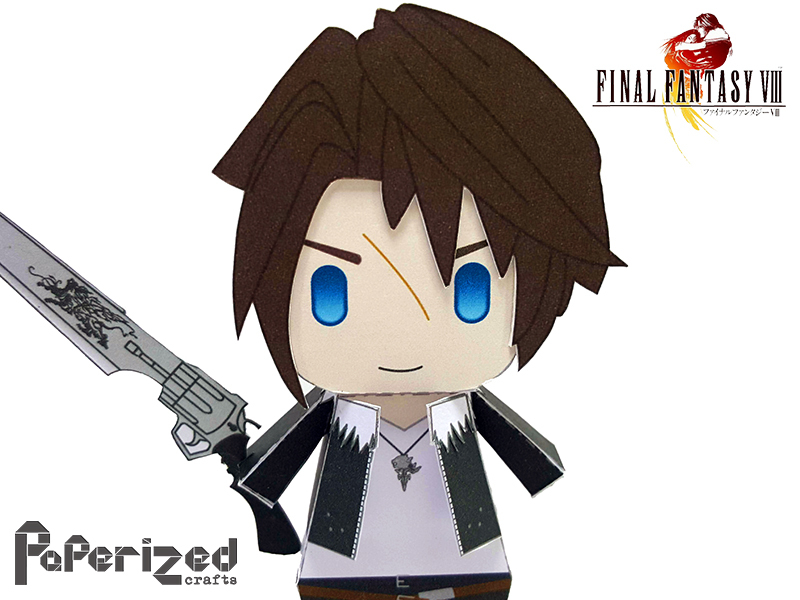 Squall's weapon, the gunblade, is one of the iconic weapons of the Final Fantasy series. Papercraft designed and created by Paperized Crafts.